The first book in a new series of the same name, which follows the orphaned Lazlo Strange, who has always been fascinated by the lost city of Weep, which was one day erased from the world, as if by magic, leaving few who even remembered that it was ever more than a myth. I liked Daughter of Smoke and Bone a lot, but this may be my favourite thing that Laini Taylor has written so far. I really loved both Lazlo and Sarai (the book’s second protagonist), and the supporting characters were all incredibly memorable, despite there being quite a few of them. The conflict at the centre of the book was fascinating, too, and the world-building amazing. I’m very much looking forward to returning to Weep, and am glad that I only have a month more to wait for Muse of Nightmares, which is unsurprisingly my most anticipated autumn release – and which I will definitely also be listening to, rather than reading in print, as Steve West’s performance of Strange the Dreamer was fantastic. A brief (and self-contained) story set in the Dragon Age world, about Vaea, the elven squire to drunken knight Ser Aaron Hawthorne – and, unbeknownst to her master, a thief. I’ll admit that I’m inclined to enjoy every foray into this world, regardless of length (or even story or writing quality), but Knight Errant surpassed all my expectations. It’s very short, but did a great job of making me care about Vaea and Ser Aaron, the two main characters (who are original to this comic), and although the plot is simple, it’s also solid, and a lot of fun. Varric and Sebastian from the games also had fairly significant roles, and it was great to see them both again (as well as Charter, who made a brief appearance). 😊 In terms of timeline, this takes place after Inquisition, but is not directly connected to the events of that game. The Call of the Wild by Jack London. The tale of a domestic dog called Buck, who’s stolen from his owners in California and taken all the way to the Yukon, where he lives a much less comfortable life as a sled-dog, but is drawn to the wild places that exist just beyond the borders of his new life. This was a really interesting read! I picked it up a few days before Booktubeathon, because I was hoping to read White Fang for one of the challenges, and mistakenly thought that the two were directly connected, but I actually ended up liking this one a bit more, as the pacing was much more consistent, and the story a little gratuitously violent… Buck’s life in the North is a harsh one, but London doesn’t dwell on the brutality of it quite so much as in White Fang. Still, for such a short book, it packs a huge emotional punch. An excellent, Roman Empire-inspired fantasy following two leads: Laia, a teenage girl who becomes a slave in order to spy for the Scholar resistance, and Elias, a Martial soldier who wants only to be free of the Empire. I first read (and reviewed) this book a couple of years ago, and my feelings on it haven’t changed in the slightest. 💕 The audiobook was a new experience for me, but also a good one; both narrators did an excellent job, though I feel like the communication between them might not have been particularly great, as there were several words that they each pronounced differently. It wasn’t usually too jarring, and the most significant pronunciation disagreement was corrected after a few chapters, but it’s something that really should have been addressed by an editor or director (or whoever is in charge of voice work) before recording… especially when it’s the name of one of the main characters! The final book in The Illuminae Files, which introduces two new protagonists: Asha, Kady’s cousin who was left behind on Kerenza IV when the majority of the population fled, and her ex-boyfriend-from-before-Kerenza, Rhys, who is now a technician for the invading BeiTech forces. 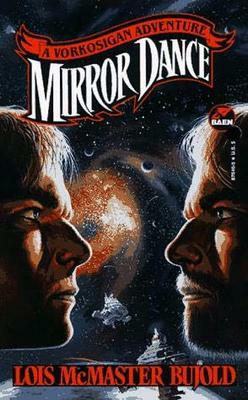 As the conclusion to the trilogy, the plot of this book was much less self-contained than the other two, and it wrapped up the plot really nicely, and made for an incredibly powerful ending – though at the expense of some development for Asha and Rhys, who had to share their screen time with the series’ previous four protagonists (or five if you include AIDAN). However, I do think that they were both very well-fleshed out characters regardless, and the Kerenza-based perspective that they both provided to the story was essential. The pacing of the story was fast and tense, and only became more so as the stakes got higher and higher towards the end… and although I didn’t like this book quite as much as Illuminae, it was a near thing. A truly great ending to this fantastic series! Seventeen-year-old Catherine Morland is obsessed with Gothic novels, and all the horrors that they can offer, and when she’s given the opportunity to visit Bath with some family friends, she’s able to meet others who share her passion – but her new friends are not all who they appear to be, and Catherine may be leading herself into a different kind of trouble than what’s found in the books that so enthral her. I first started reading Northanger Abbey in secondary school, but only made it about halfway through before my own feelings of embarrassment on Catherine’s behalf made me unable to continue; and while her visit to the Abbey was just as awkward as I remember, I’m happy to say that I managed to power through this time, and actually finished the book. And, more importantly, I really loved it! 😁 Catherine is still naive and foolish, but in a way that makes her seem incredibly true to life, rather than just irritating, and I really enjoyed her relationship with the Tilneys, and how it contrasted with her relationship with Isabella and John Thorpe. Austen’s writing is also as excellent as always; there are lots of asides in this book where she talks about the literary and societal conventions of the time, and they’re frequently hilarious. One of my favourite passages in the book is one such aside, where Austen discusses how novels are looked down upon as a choice of reading material, and how strange it is that authors always seem to write about heroines who despise them… 😂 Austen is frequently praised as an excellent romance writer (which she is, of course), but she also had a brilliant sense of humour, which shouldn’t be overlooked. Homecoming by Kass Morgan. The third book in the 100 series, in which the original hundred children who were sent back to Earth are joined by others from the Ark, and the two groups struggle to find a balance between their two different methods for survival. This series only seems to get weaker as it goes on, but I still enjoyed this book for its silliness (and a fair amount of fanservice). Rebellion by Kass Morgan. The last book in the 100 series, which focuses on an extra plot involving a fanatic Earth-worshipping cult… This book probably didn’t need to happen (apparently Homecoming was supposed to be the last, but I guess Morgan & her publishers decided to carry on due to the TV show’s popularity? ), but although it was the peak of the series’ ridiculousness, it was still fairly entertaining in places. I liked that Octavia got a slightly bigger role in the story (though I can’t say that there was much else in the way of character development), as well as the continuing focus on Clarke & Bellamy’s relationship… But for the most part, the story and characters just seemed to be getting stale. 😕 Northanger Abbey by Jane Austen. My Library Scavenger Hunt pick for the month! 😁 & definitely a winner. The earliest of Austen’s novels, which follows a teenage heroine who loves to read gothic romance and horror, and tends to confuse reality with the literary conventions of her time. The characters were really well fleshed-out, the story was a tonne of fun, and the writing was hilarious… My review will, with luck, be up very shortly. Upon their father’s untimely death, Elinor and Marianne Dashwood, along with their mother and younger sister, are forced to leave their childhood home of Norland for distant Devonshire, where they must live in significantly reduced circumstances, and with significantly less chance of making good marriages. Love, however, can come from unexpected places – and unexpected people. And I ended up really enjoying it! (Not quite as much as Pride & Prejudice or Emma, but considering my extreme love for both those books, that’s not really saying much.) The story was wonderfully crafted, full of mysteries, and unexpected twists and turns – and although there were quite a few slow parts, I was so absorbed in Austen’s witty writing style that I barely noticed them, and wasn’t bothered by them in the slightest. Elinor and Marianne both made excellent leads, and contrasted one another perfectly – Marianne wild and romantic, Elinor unfailingly proper and reserved, but no less feeling – and I would be hard pressed to choose a favourite from between them. Marianne comes across as quite silly early on in the book, but goes through some really amazing character development, and the way Elinor internalises all her struggles for appearance’s sake is really heart-wrenching. I also really liked both of their romances, and felt that they were both resolved in a very satisfactory manner, as was the friendship between them, which became much deeper as the story progressed. My absolute favourite thing about this book, however, was the wide and varied cast of supporting characters. Margaret, the youngest Dashwood sister, was unfortunately rather a non-entity for much of the book, but with that one exception, all of the side characters were remarkably well fleshed-out, and extremely memorable, from the delightfully awful (e.g. John and Fanny Dashwood, the sisters’ half-brother and his wife; the snobbish Mrs. Ferrars), to the perplexing (e.g. Lucy Steele, whose bizarre methods confused me up until the very last pages of the book), to the lovable (e.g. Mrs. Jennings and her daughter Charlotte, who, though not the most proper, were two of the warmest, most friendly characters in the story). 1) If you could travel to any period in time, where would you go and why? The classicist in me is urging me to say Ancient Rome. Roman Britain, specifically, which was my favourite period to study when I was at uni. But it would also be interesting to see/read all those lost Greek dramas, so maybe Athens instead, circa 420 B.C., to overlap with Euripides, Sophocles and Aristophanes (though not Aeschylus, sadly). 2) What is your favorite under-hyped novel? 3) What type of music do you enjoy listening to the most? 4) What are three books you absolutely refuse to read? Maybe The Casual Vacancy by J.K. Rowling? (I’ve heard mixed reviews, but as much as I like J.K. Rowling, this doesn’t sound like my kind of book). 5) Do you prefer series or standalones? 6) What are your favorite and least favorite book to movie adaptations? The adaptations of both The Perks of Being a Wallflower by Stephen Chbosky and Howl’s Moving Castle by Diana Wynne Jones are a couple of my favourite films. And I found the 2005 adaptation of Pride & Prejudice by Jane Austen (starring Keira Knightly & Matthew Macfadyen) incredibly lackluster. I tend to stay away from adaptations that look like they’re going to be terrible, though – a tendency that has served me pretty well so far. 7) What is one food you never get tired of eating? 8) What are the most difficult and most rewarding things about blogging for you?